towPartners offers insurance to our members provided by Gaisbauer Insurance. The current offerings cover all on-hook, general liability, garage keepers, property, premises liability, and more. We are dedicated to providing you with the best insurance coverage at the lowest possible prices for your unique situation. Have you checked your listing on the towSearch? © 2019. No part of this site may be copied without the express permission of FTI Groups®. It appears we do not have your e-mail address on file. Please enter your e-mail address to be included in our regular bi-weekly member e-mail communications as well as other towPartners business communications. Your towPartners Membership is set to expire soon. Click here to renew your membership. Your membership has expired. Would you like to renew now? This content is only available for current members. Please click below to renew your membership. This information is for members only. Please purchase or renew your membership below. You can upgrade to a Premium Membership for only $99. Receive premium access to all statistical data from across the industry including: Motor Club Statistics, Tow Rates, Pay Structures and Fuel Surcharge Rates. 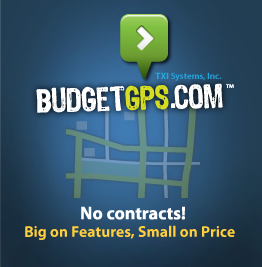 Includes a premium towSearch listing, benefits for employees, 30% Discount for sureFleet Maintenace Software (includes exisitng customers), a $50 Gift Coupon to towconsulting.com provided by Tow Consulting, special rebates, business resources, a towPartners Advisor subscription plus towPartners supplier savings and discounts. Your profile has not been updated in the past 6 months. Please confirm your motor club rates to remain a part of our statistics. This information is only available for logged in users. This information is not available to Employee Members. Do you provide company owned cellular devices to employees? Would you like to be contacted regarding the Sprint Discount Program? Would you like to contacted regarding the Sprint Cellular Service Discount for Industry Employees?